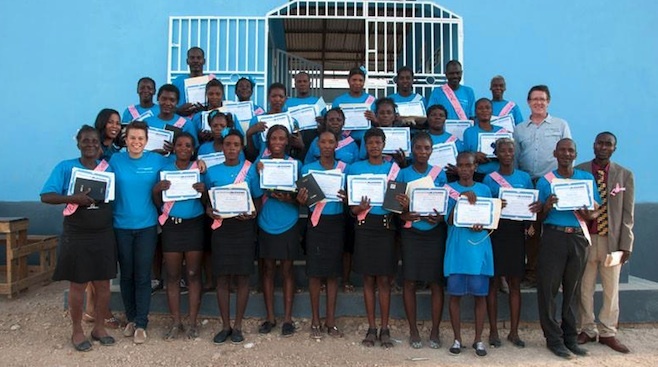 In Haiti, the students of Operation Blessings first adult literacy class recently graduated. They are pictured celebrating on the International Literacy Day. For six months, these men and women worked for 8 hours a week and their faces show how proud they are of their achievements. For most of them this was the first time they had ever graduated from an education programme! When you give to CBN, you are changing lives! Make a gift today: call 0800 432 0700 (UK) or call +44 207 101 7045. To give online visit our donation page.